The DJI Inspire 2 Pro is a powerful cinematic and photographic tool. The X5S gimbal camera yields cinema-grade images, which can be recorded in high bit rates using H.264 and H.265 formats, Apple ProRes and CinemaDNG raw. The DJI Zenmuse X5S has a dynamic range of 12.8 stops with a much improved signal to noise ratio and color sensitivity than the X5R. The new CineCore 2.0 image processing system on the Inspire 2 makes the Zenmuse X5S capable of capturing 5.2K 30fps CinemaDNG video and Apple ProRes video, as well as 4K 60fps using H.264 and 4K 30fps using H.265 (both at 100Mbps). Continuous DNG burst shooting at 20fps with 20.8MP images is also supported. The Zenmuse X5S was designed to keep pace with the rigors of high-end professional aerial imaging. Not all the power to be found in the Inspire 2 is in the recording functionality. DJI beefed up the flight capabilities of the Inspire 2. Able to accelerate to 50 mph in 4 seconds and reach a top speed of 58 mph, the Inspire 2 can follow fast-moving subjects for dramatic sports and action footage. The flight prowess of the Inspire 2 doesn’t come at the expense of battery life. With the two included LiPo batteries onboard, up to 27 minutes of flight time can be had on a full charge. Forward and downward vision systems enable the Inspire 2 to detect obstacles up to 30 meters ahead, allowing for protected flight at up to 34 mph at a controllable attitude angle of 25°. Upward-facing infrared sensors scan obstacles 16′ above, adding protection when flying in enclosed spaces. Obstacle-sensing systems are active during normal flight, RTH, and all Intelligent Flight Modes. 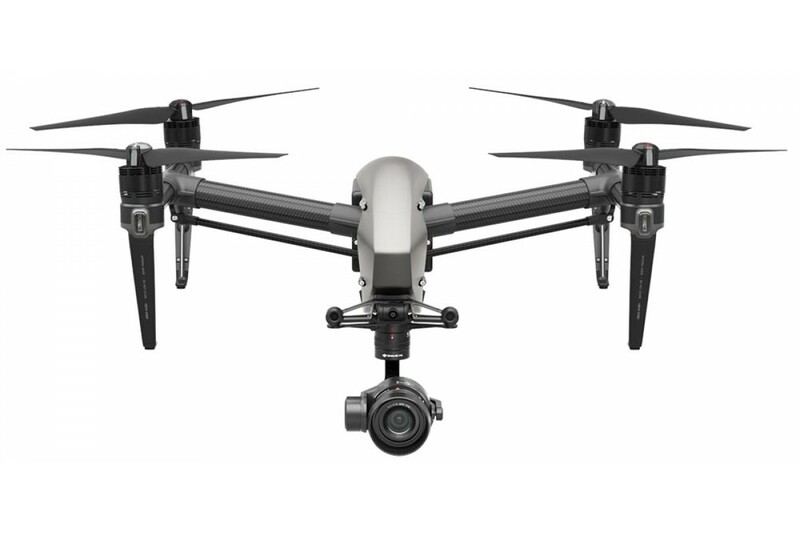 The Inspire 2 features DJI’s Lightbridge technology. This iteration has an effective transmission distance of up to 4.3 miles (under ideal conditions) and is capable of delivering both 1080p/720p video as well as the FPV view to pilot and camera operator. Users can also switch between 2.4 GHz and 5.8 GHz control frequencies to avoid interference for greater signal stability. If you would be interested in hiring the DJI Inspire 2 for a shoot, please email us at info@beeaerial.co.uk or call on +44 (0) 333 772 0728.